The University is making several changes to the Hamilton Prize for Creativity in response to the overwhelming number of submissions it has received in the past two years. 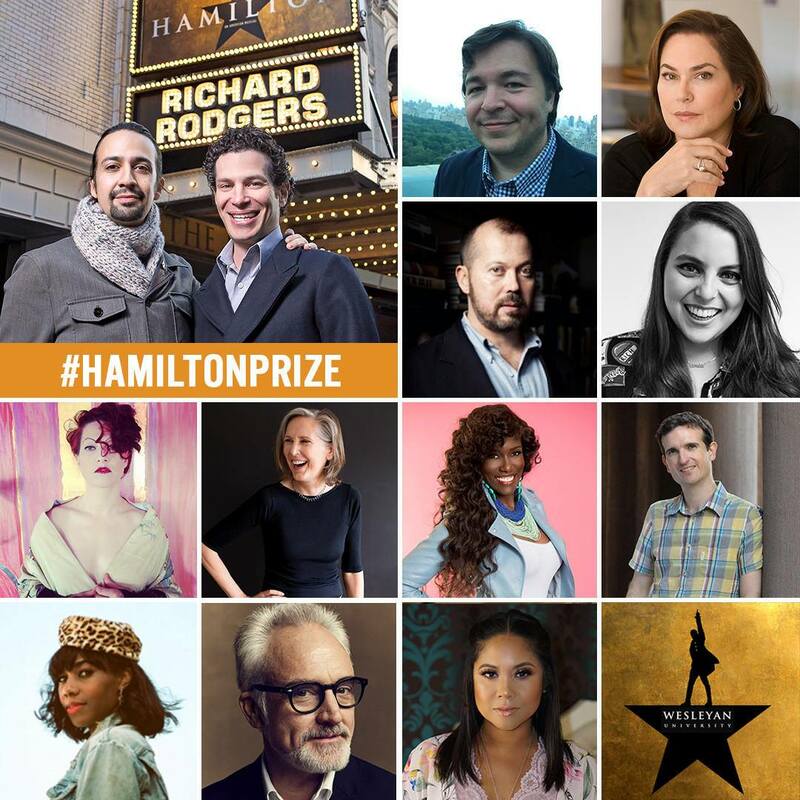 Established in 2016 in honor of Thomas Kail ’99 and Lin Manuel-Miranda ’02, the esteemed alumni behind the Tony and Grammy award-winning musical “Hamilton,” the Hamilton Prize is a four-year, full-tuition scholarship currently awarded to a single incoming first-year student whose work of fiction, poetry, songwriting, playwriting, creative nonfiction, or other form of written creative expression best exemplifies the originality, artistry, and dynamism showcased in “Hamilton.” Changes will include an expansion of prizes offered as well as several additions to the 2019 prize committee, which will apply to members of the incoming class of 2023. Since 2016, the University has received over one thousand submissions for consideration. This year, the University will expand the reach of the prize by recognizing outstanding work in three different categories—prose, poetry/song, and screenplay/playwriting—rather than just one. While the University will pick only one grand prize recipient, the winners in the other two categories will receive honorable mentions and a $5,000 grant to support their future creative endeavors. All three prize recipients will also be given free admission to the Wesleyan Writers Conference, which will be held on campus this June. Audrey Pratt ’21 and Sydney Kim ’22 were the first and only recipients of the Hamilton Prize so far. Kim, who was most recently awarded the prize, was selected because of the short story she submitted. Pratt, the first student to receive the award, also wrote a short story for her submission. Pratt noted that she specifically applied because she knew Miranda and Matthew Weiner ’87 were on the prize committee in 2017, both of whom were personal idols of hers. Kim shared her excitement for the new developments, citing the wealth of talent at the University as a clear reason to expand. Pratt also noted her appreciation of the expansion of the prize. Winners will be chosen by the University’s all-alumni Prize Selection Committee, led by honorary chairs Miranda and Kail. In addition to new members actor Bradley Whitford ’81, radio and podcast host Angela Yee ’97, and actress Beanie Feldstein ’15, the committee is comprised of Carter Bays ’97 and Craig Thomas ’97, co-creators and executive producers of CBS’s “How I Met Your Mother”; author and Shapiro-Silverberg Professor of Creative Writing Amy Bloom ’75; author and journalist Alexander Chee ’89; singer, writer, and musician Amanda Palmer ’98; author Mary Roach ’81; CMO at Endeavor, Bozoma Saint John ’99; and singer-songwriter Santi “Santigold” White ’97. This year’s winners will be announced in May. Emmy Hughes can be reached at ebhughes@wesleyan.edu and on Twitter as @spacelover20. Erin Hussey can be reached at ehussey@wesleyan.edu and on Twitter as @e_riss.